20 lessons of standard course + 5 group lessons of oral reinforcement + 5 group lessons of written reinforcement. 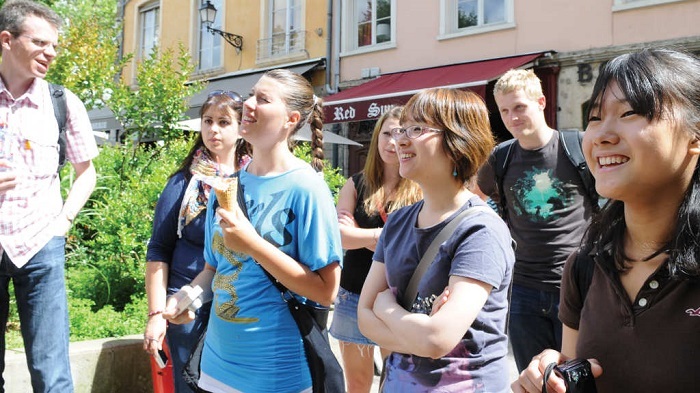 ALPADIA offers French* language courses of a high standard (one week minimum) with particular emphasis on conversation. Modern teaching methods, stimulating topics for study, a maximum of 14 students per class and inclusion of sporting activities guarantee a motivational atmosphere conducive to language study. 20 lessons of 45 min of group study per week. 25 lessons of 45 min of group study per week. 5 lessons of 45 min per week. One to one courses can only be booked in combination with a standard course. *Note that ALPADIA also offers English, German and Italian language courses.